Spray 4 1/2- to 5-quart slow cooker with cooking spray. Mix pasta sauce, broth and salt in cooker. Add chicken breasts. 2. 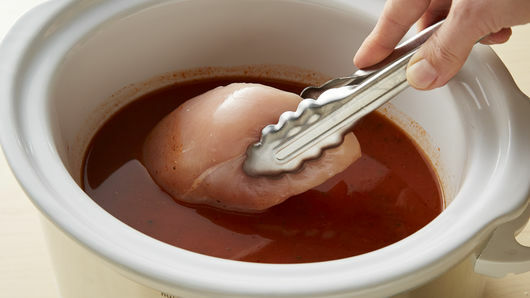 Cover; cook on Low heat setting 3 to 4 hours or until juice of chicken is clear when center of thickest part is cut (at least 165°F). 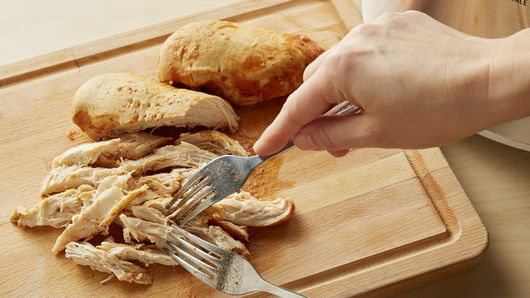 Remove chicken with slotted spoon to cutting board, and shred. 3. Meanwhile, stir tortellini into cooker. Cover; cook on Low heat setting 15 minutes. 4. Stir tortellini mixture; top with shredded chicken. Top chicken with mozzarella cheese; cover and cook 10 to 15 minutes or until tortellini are tender and cheese is melted. 5. Meanwhile, in 10-inch skillet, melt butter over medium heat. 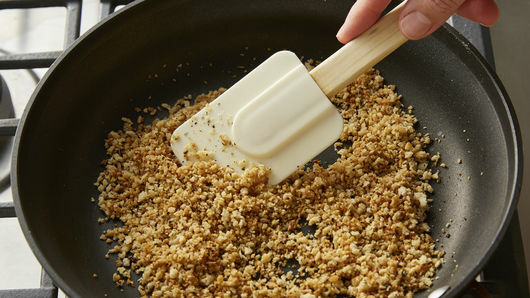 Add bread crumbs; cook and stir 2 to 5 minutes or until toasted. 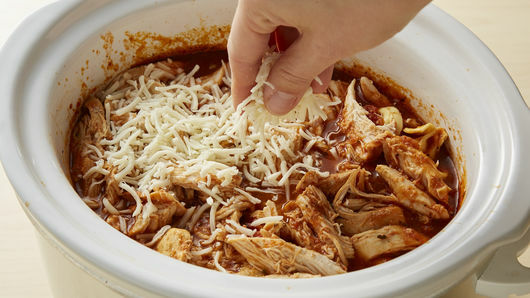 Sprinkle over mixture in slow cooker. Top with Parmesan cheese and basil. Don’t like shredded chicken? You can dice the cooked chicken instead. 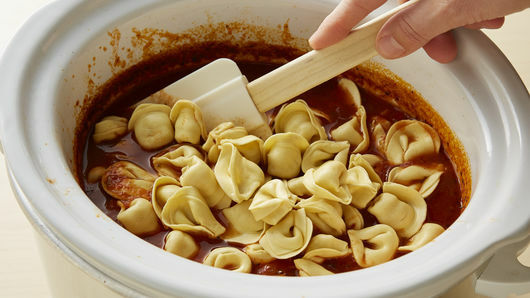 Refrigerated cheese-filled tortellini are usually either plain pasta or a mixture of plain and spinach pastas. Either type is fine for this recipe. 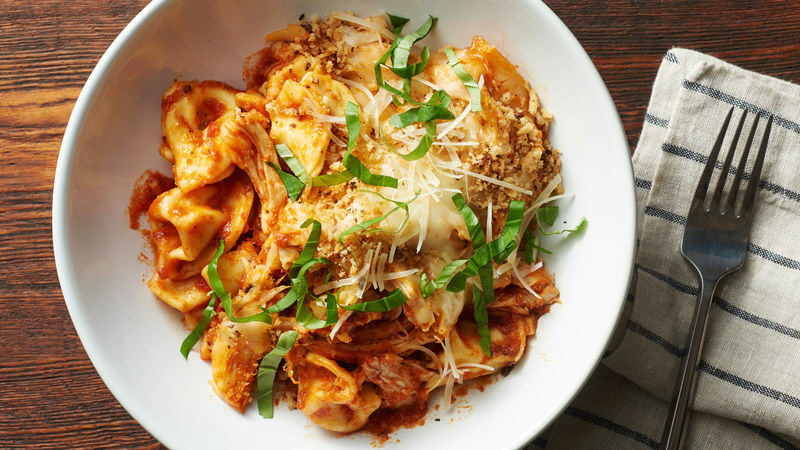 0 Response to "Slow-Cooker Chicken Parmesan Tortellini"